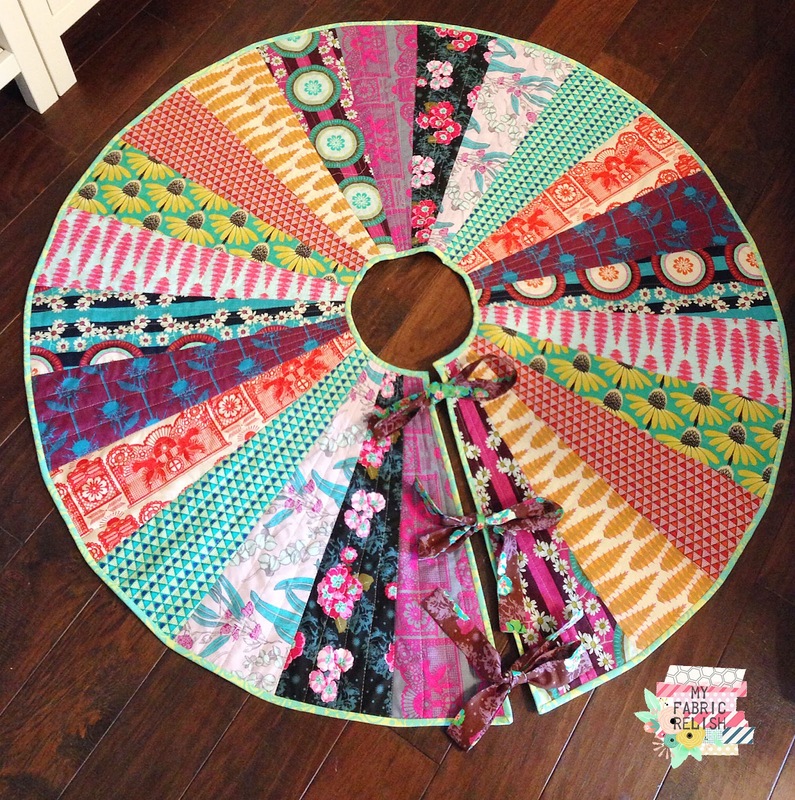 my fabric relish: Super Tote! Have you experienced the Super Tote by Noodlehead yet? 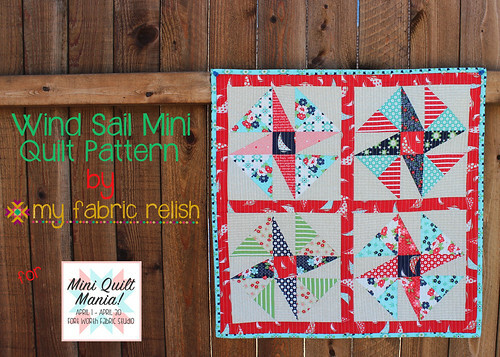 I am in love with this pattern! It's huge and functional! I made mine over the Christmas break and so mad that I didn't try it out sooner. Guess I was still in love with my Market Tote. I decided to use a fabric I thought my girls would get a kick out of but still fun and grown-up for me. It's Elephant Circus by Kokka in the pink colorway. I originally bought it to use in a baby quilt for a friend but decided on a different elephant fabric (more of that next week). 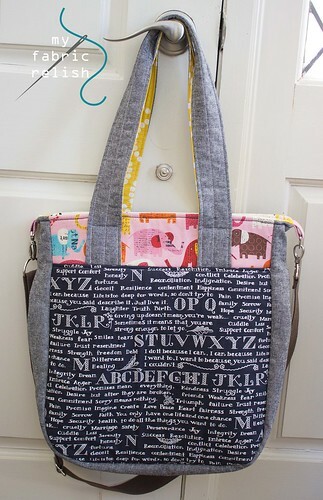 The alphabet print came from my Japanese bundle that I received a few months ago from Alyce at Blossom Heart Quilts. Oh, and of course my staple linen, black essex! I think the hardest part was figuring out what interfacing I wanted to use where. Seriously! Even though I have a bit of experience with interfacing, I still always struggle with when and where for each bag I make. I am happy with what I decided and will share with you below. I used Annie's Soft and Sable for the front and back panels and fusible fleece for the side panels. I wanted the bag to somewhat stand up on its own but not so stiff it looked like a box. I figured the fusible fleece would let the bag collapse just enough and the Soft and Sable panels would allow it to still look like a bag and not pile of Japanese fabrics on the floor. That was truly my whole thought process while deciding on the interfacing..lol. 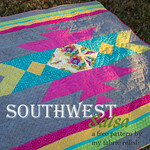 I also used SF101 like the pattern suggest for all the inside linings. I went with a magnetic closure because I actually never zip up my purse. I am in and out of it so much, that it would likely just get in the way. I figured the magnetic claps has the chance to get closed even if it's inadvertently...haha. Oh, and did you notice my handy dandy sling? A purse to most moms is useless when they have to hold hands with one child and hold the other child UNLESS it has a sling strap. It's a must have for any bag I use. It was fairly simple to add during the construction. I just took two, three inch strips of pink webbing and added the hardware. Folded in half and basted it in place before I attached the lining. I had a spare strap from an old bag that I used instead of making one; although, making one would have been pretty easy. I know my JoAnns has lots of different types of webbing including the pink one that I attached to the bag. I just wish they sold more hardware! One thing I took extra care in was ensuring the two pleats on the side stayed together. I lowered my stitch length to 1.0 about one inch before the end and tightened the tension a bit as well. I went over it about five times like that. I think it should hold...haha! I also used an 18 jean needle and black jean thread for the top stitching around the top to make sure I got through all those layers, especially the webbing, without skipping or breaking the thread. I for sure plan on making this bag for sure and very happy with the interfacing I used. Next time, I might make the panels quilted to add more texture. Hope you are having a great start to the week! 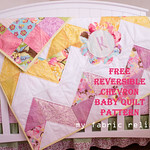 Planning on liking up with all my favorite link parties to the right, TGIFF, and Crazy Mom Quilts! Oh, and I might have something exciting happening here on Friday!!! Sooo cute!! 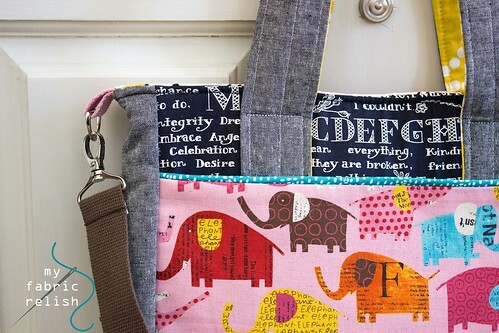 I love those elephants and that text print?? OH MY to die for!! Love how you coordinated it all! Thank you soooo much! I really love it! Thanks for visiting!! 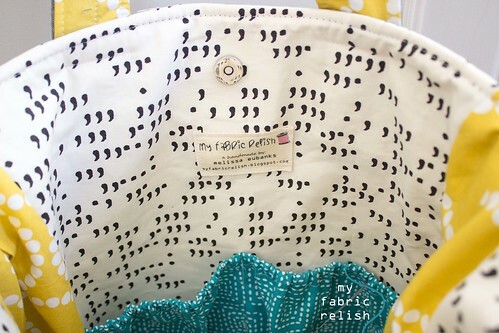 Really cute tote! 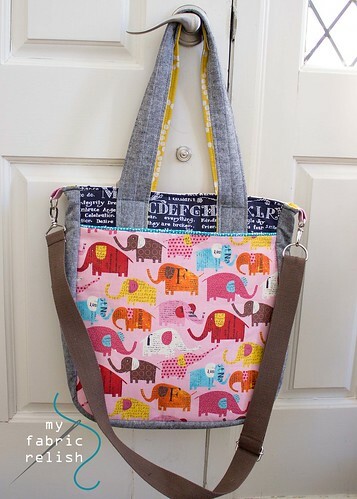 I love the elephant fabric! Thanks so much, Tonna!!! Thanks for visiting and commenting :) hope you have a great rest of the week! Thanks so much!!! I love these little elephants but they are so dang expensive. So I'll admire my FQ on my purse. Lol. Thanks for visiting, Izzy!! too cute! I am in love with that elephant print! Thanks Kelly! They have them in green too! But a bit pricey since it's kokka. Thanks for visiting and hope to link it up this week! Thanks Margaret! I hope I didn't scare you off... It's really not too hard to make. Hope you give it a try one day! Have a great rest of the week! Great bag! Love the fabrics! Thanks Fran!!! I'm really enjoying carrying it right now! Have a good one and thanks for visiting! That is the cutest tote ever!! I love your fabric mix, love that shoulder strap, and really want to try to incorporate a magnet closure someday! Looking forward to Friday! Fabulous bag Melissa....love the fabrics. I am tempted to give it a go too!! Thanks for sharing. I love your bag! Great fabric choices! I'm also a cross-body purse/bag wearer so I appreciate your modification. Thanks for linking up to TGIFF! I did a diaper bag recently and didn't use enough interfacing so it doesn't stand on its own as well as i would have liked it to,but eh what are you gonna do?! Better luck next time I guess. So all this to say I feel ya! I adore the fabrics you chose for the inside of the bag and the magnetic closures are truly worth it! 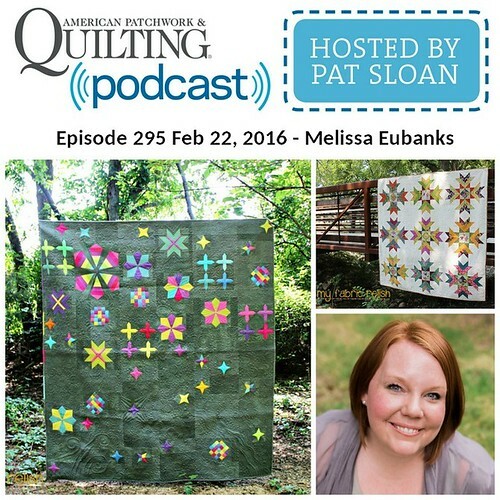 I am new to sewing and quilting. When I was searching for blogs to follow, your caught my eye. One thing was your blog title. I have become a fabric crazy girl! Another was you are from Texas. I lived there for many years and have part of my heart still there. Do you have any idea how to get coupon codes when ordering online? Thanks! Hey, I have dug around in this purse for you....it is super cute and you did an amazing job choosing the fabrics! 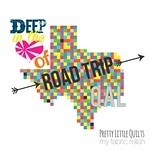 So glad we met at Quilt Bliss. Very nice bag. I like it. Thanks for sharing.